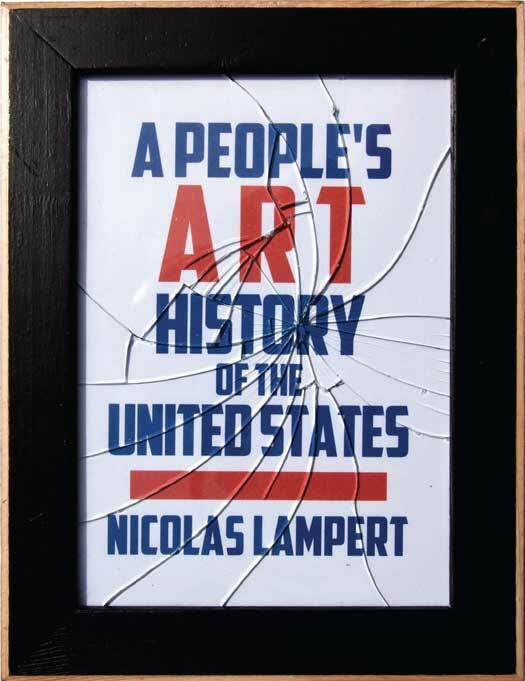 Here is a short excerpt from Chapter 15 from my new book A People’s Art History of the United States. This chapter examines the role of the Artists’ Union during the 1930s. Prior to the start of the WPA-FAP, the Artists’ Union in New York City was already a well- developed organization, and by the end of 1934 it had upward of seven hundred members. Meetings were held every Wednesday night, and attendance often fluctuated between two and three hundred people; crisis meetings would draw upward of six hundred. Locals were also formed across the country, in Philadelphia, Boston, Springfield (Massachusetts), Baltimore, Woodstock (New York), Cedar Rapids, Detroit, Chicago, Cleveland, St. Louis, Los Angeles, and elsewhere. By 1936, the WPA-FAP employed more than five thousand artists and well over a thou- sand of these artists were Artists’ Union members, spread out across eighteen states. Many of the Artists’ Union members, though not all, were also affiliated with CP USA and Communist campaigns. Others were fellow travelers, sympathetic to communism and socialism and the movement against war and fascism. The Artists’ Union, however, distanced itself from direct Communist ties, stating that it would not align itself to any political party. Instead, its primary role was economic—helping unemployed artists obtain work in federal and state art programs, and advocating for the arts to reach all Americans. 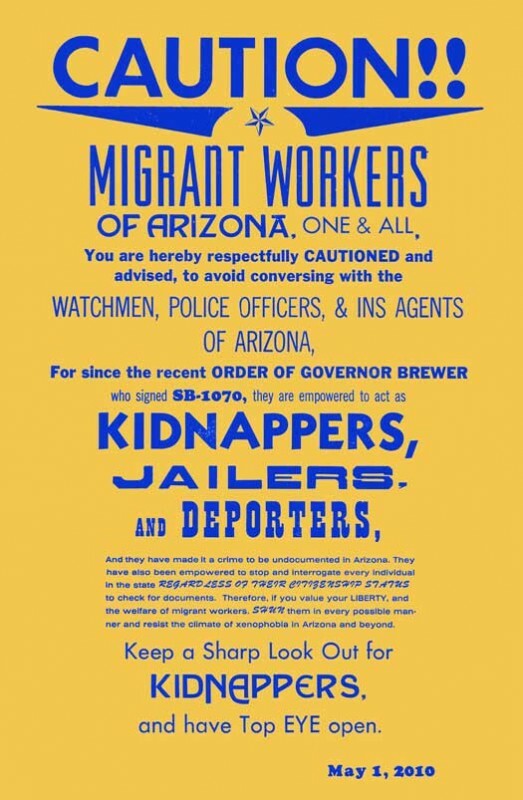 In short, the Artists’ Union became the mediators between artists and PWAP (and then WPA-FAP) administrators, settling grievances between workers and administrators and threatening to take direct action if needed. 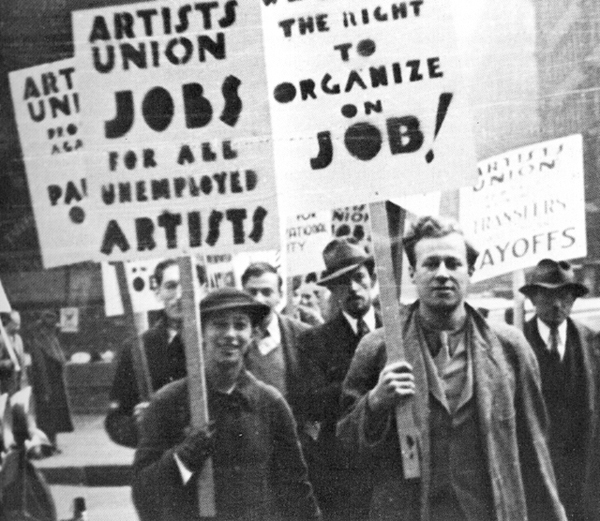 On November 30, 1936, more than 1,200 artists, writers, actors, and actresses gathered in protest in New York City over WPA funding cuts and layoffs. Two days later, on December 1, more than four hundred Artists’ Union members gathered outside the WPA administration offices on Fifth Avenue and Thirty-ninth Street while 219 demonstrators stormed the offices and occupied them. 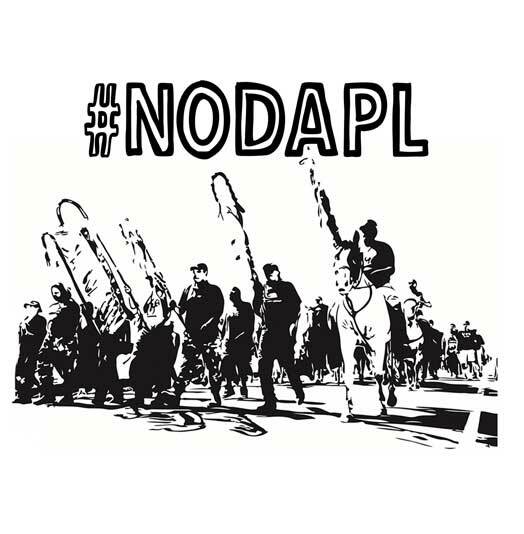 The administration’s response was to call in police, who proceeded to assault them. Twelve Artists’ Union members were badly injured and taken away in ambulances, including Philip Evergood and Paul Block (who had led the demonstration), and all of the demonstrators were arrested. In jail, some gave fake last names to the authorities, claiming to be Picasso, Cézanne, da Vinci, Degas, and van Gogh. A couple days later, the 219 individuals arrested were arraigned in court on December 3, found guilty of disorderly conduct, and given a suspended sentence. More protests would follow. On December 9, some 2,500 WPA workers orchestrated a half-day work stoppage of all art projects to protest pending dismissals. 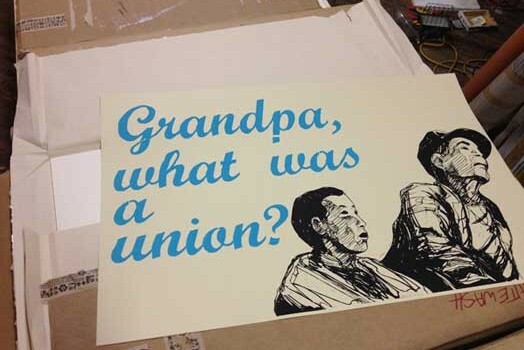 Three days later, artists joined in with 5,000 other WPA workers in a picket at the central WPA office. 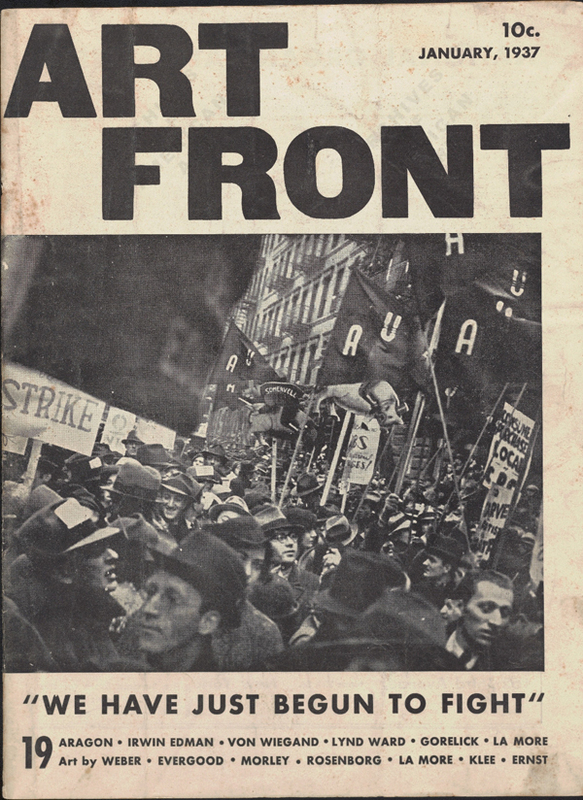 The January 1937 cover of Art Front—the Artists’ Union’s official publication—documents their capacity to demonstrate. Visualized is a street packed with protesters; prominent among them are Artists’ Union signs and red banners with the “AU” letters. Also held up high are cut- out images of pigs with top hats—a likely reference to bankers. However, this temporary reprieve was short-lived. In April 1937, President Roosevelt and Congress pushed through a 25 percent cut of all WPA funding that did not spare artists. In late June, WPA-FAP employees began receiving their pink slips, setting off another wave of sit-ins by the Artists’ Union and others—writers, musicians, actors, and actresses—who occupied the WPA offices in Washington, DC. In New York, six-hundred-plus demonstrators occupied the Federal Arts Project Office and held Harold Stein, a New York City Art Project administrator, captive for fifteen hours. There, he was ordered to call his superior in Washington, DC, and relay the strikers’ demands that all cuts should be rescinded. Artists at last discovered that, like other workers, they could only protect their basic interests through powerful organizations. The great mass of artists left out of the project found it possible to win demands from the administration only by joint and militant demonstrations. Their efforts led naturally to the building of the Artists’ Union. an anomaly to have artists unionized against a government which for the first time in its his- tory was doing something about them professionally.” And Audrey McMahon, head of the New York City Art Project, argued that the Artists’ Union, along with other radical art groups, tarnished the image of the entire WPA-FAP, for it led the public and conservative members of the government to see all artists as radicals. 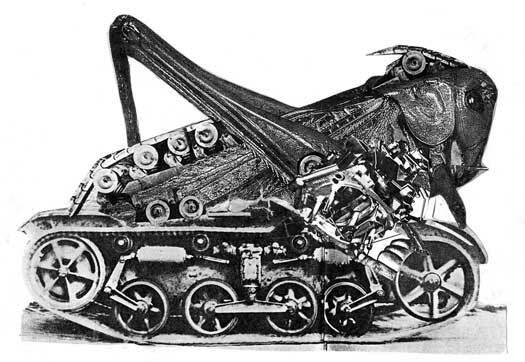 But, the Artists’ Union represented the workers’ perspective, not management’s. They held little faith in the sincerity of government bureaucrats and believed that it was the artists’ ability to organize that had led to artists being included in the WPA programs in the first place.